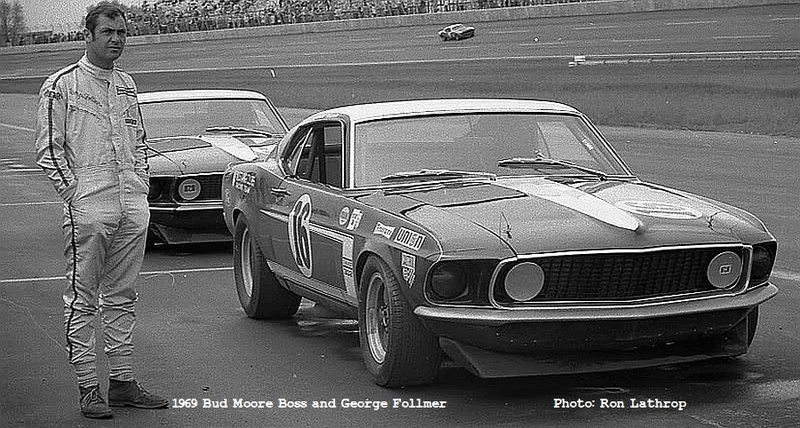 This 1969 Bud Moore Trans-Am Mustang was originally raced in 1969 by both Parnelli Jones and George Follmer. 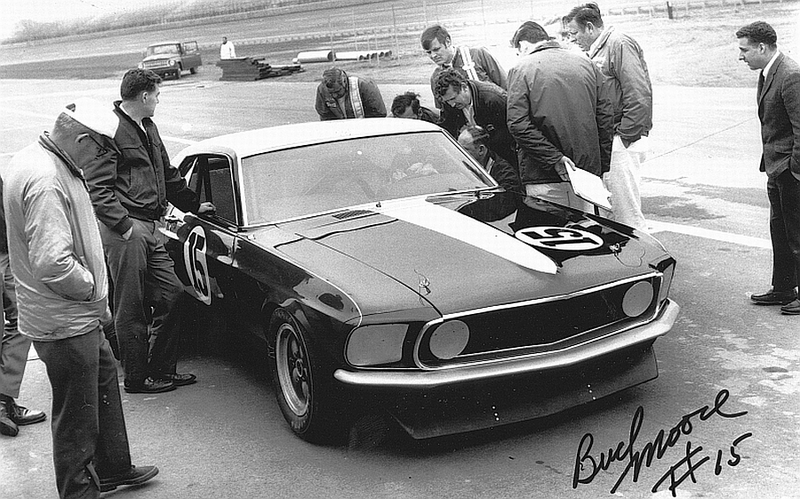 This the first BOSS 302 Mustang seen in competition (Parnelli Jones, February, 1969 Daytona Citrus 250). 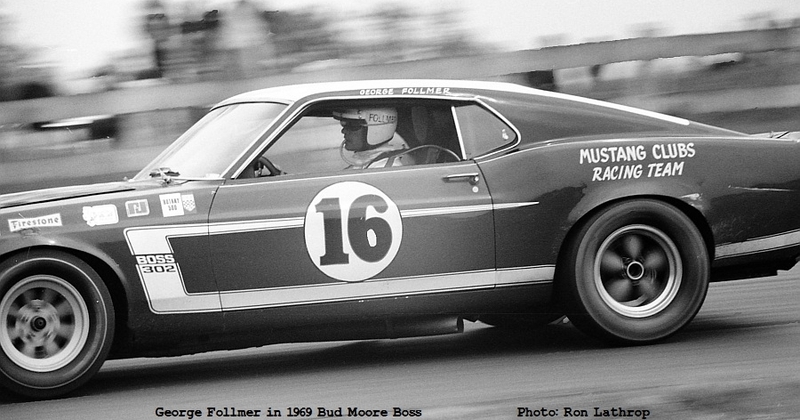 This chassis was then driven by George Follmer in the first half of the 1969 SCCA Trans-Am Championship. This is a factory built and sponsored car, driven by two hall of fame drivers, in one of the most alluring eras of racing. This car, often referenced by it's VIN (9F02R112074) was one of only three cars that Kar Kraft built as a turn-key race car. Following it's build, it was sent to Bud Moore, and was the first 1969 to race professionally (again, by Parnelli Jones, February, 1969 Daytona Citrus 250). 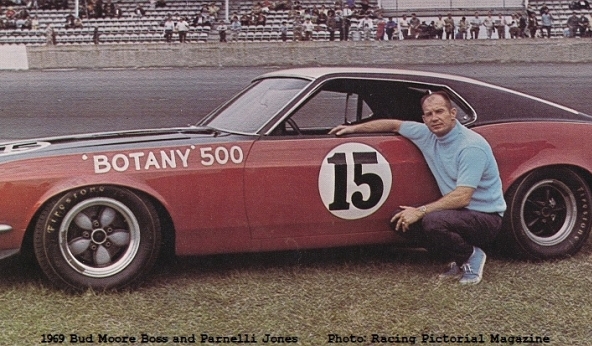 Following this first race with Parnelli Jones driving, it became the car that George Follmer piloted for the first part of the 1969 SCCA Trans-Am season. Following damage sustained in a wreck during the 1969 SCCA Trans-Am season, this car was kept at Bud Moore Engineering. The car was never raced again, and was purchased directly from Bud Moore Engineering in 1982. The car was meticulously restored to it's earliest 1969 livery and sheetmetal configuration.